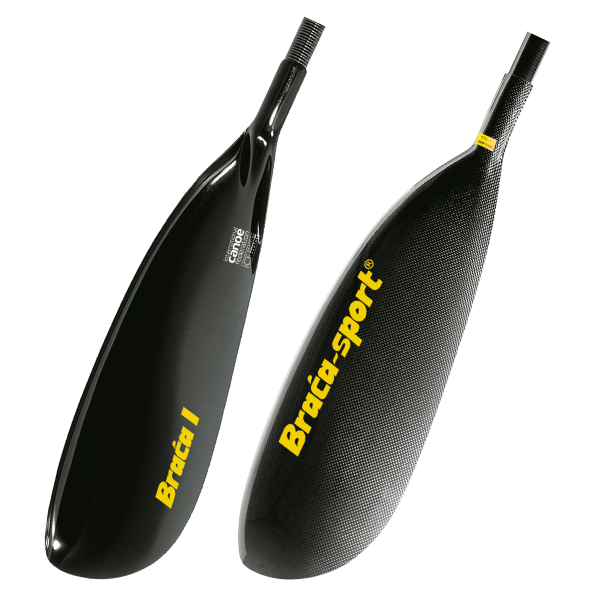 Brača I is the original world's first 'tear-drop' design and our most widely used paddle. The paddle is designed to facilitate application of power in the beginning (catch) and in the middle of the stroke, enabling capabilities to obtain the “ultimate” forward stroke. Brača I is available with Marathon blade construction. This is a result of advanced technology, a proprietary blend of composite materials and was designed with the marathon and adventure paddlers in mind. The edge of the blade is reinforced with a kevlar layer that makes it highly impact resistant in extreme down river conditions. All Brača I paddles are available with an Adjustable Shaft System. This allows elegant adjustment of overall paddle length (within 5cm range) and blade angle from 0° to 80° right or left in 5° increments. The system also allows you to disassemble the paddle into two parts for easy transportation. Brača I is also available in the extra light and stiff construction for the athletes who prefer light and stiff characteristics. You can also choose the stiffness of the shaft. We recommend a stiffer shaft for bigger blades but any combination is possible. See the shaft stiffness measurement prodecure and parameter table below. Always clean your adjustable shaft regularly! not used for more than two weeks! * Recommended stiffness. We recommend stiffer shafts for bigger blades but any combination is possible. BRACA-SPORT® Paddles – a world’s leading composite sport equipment manufacturer and the only company to engineer and produce carbon fabrics and mechanical energy paddles. Copyright © 2019 BRACA-SPORT® Paddles. All Rights Reserved.